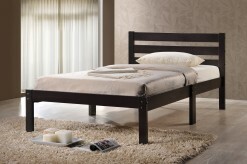 The Scottsdale Full Storage Bed includes the wood rib support. This youth collection is offered in a rich deep walnut finish with beveled wood fronts on all drawers accented with brushed brass hardware. 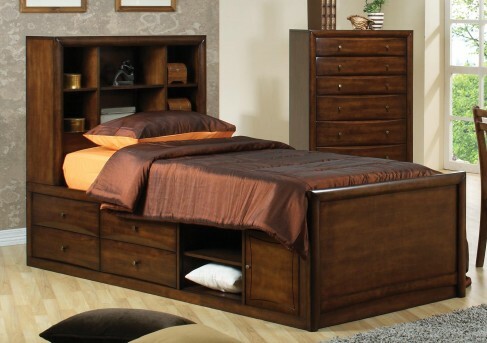 This bookcase chest bed features 4 drawers with an open shelf section and storage under the bookcase. 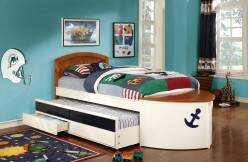 Chest section can be used on either side of the bed. Furniture Nation is proud to offer the Scottsdale Full Storage Bed online. We serve customers across the DFW region including North Richland Hills, Desoto, Frisco and many more. L56.25" x D88.25" x H50"